Delegates to CoP17 will receive updates on actions taken to protect sharks and rays following the last meeting of the Parties, CoP16 in Bangkok. 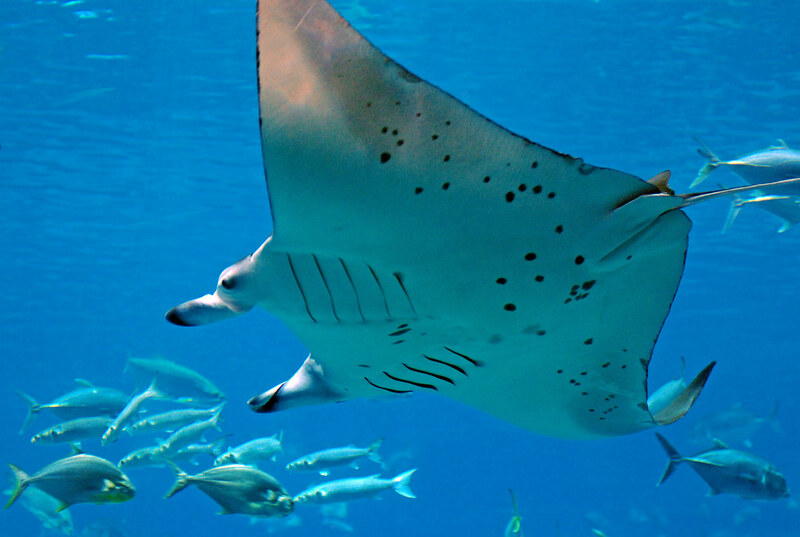 There, five shark species – the oceanic white tip, porbeagle and three species of hammerhead – and all manta rays were given protection under CITES Appendix II, with trade in these species allowed but regulated to prevent over-exploitation. In Johannesburg, CoP17 Parties will be asked to consider three more proposals to bring sharks and rays under CITES Appendix II trade controls, to include: the Silky shark, Carcharhinus falciformis; Thresher sharks, and Devil rays. How much is the illegal wildlife trade worth? Dr. Richard Thomas, TRAFFIC Global Communications Coordinator, believes that valuing such trade is counterproductive. “Messaging that emphasizes the supposed high value of wildlife products on the black market risks attracting the attention of the very criminal elements the world is seeking to deter,” he told ENS. But CITES is fighting back by forming a powerful partnership. In 2010, ICCWC, (say ick-wic) was formed. The abbreviation stands for International Consortium on Combatting Wildlife Crime. It is a collaboration among CITES, the international police force INTERPOL, the United Nations Office on Drugs and Crime, the World Bank, and the World Customs Organization. At CoP17, ICCWC will report to the delegates on its activities. The aim of ICCWC is to usher in a new era where perpetrators of serious wildlife and forest crime will face a formidable and coordinated response, rather than the present situation where the risk of detection and punishment is all too low. Satyen Sinha, director of strategy at Bumblebee Connect, an international knowledge startup for environmental and social problems based in Manchester, UK, believes that “the ICCWC Toolkit is one of the most important tools.” Available since 2012, the Toolkit helps struggling governments manage this wildlife war on the ground. The EU’s bloc vote can be a problem for wildlife. The logic behind the EU vote is that by having all 27 member states adopt a common position over a proposal, the bloc vote can increase Europe’s influence at the CITES conference. A two-thirds majority is needed for proposals within CITES to pass, so the EU’s 27 votes make up a big chunk of the vote. Sometimes, it’s enough to determine the fate of a proposal, such as CITES 2013 rejection of a ban on polar bear hunting due to the opposition of Denmark, arguing for the right of its satellite state Greenland to hunt the bears. All EU countries abstained, except Denmark which voted against the proposal. The hunt continues. So, How Does CITES Work? CITES regulates international trade in selected species with a licensing system — import and export permits. Each Party must designate a Management Authority and a Scientific Authority. For the United States, the U.S. Fish and Wildlife Service fills both roles. The Scientific Authority “advises on the effects of trade on the status of the species” and the Management Authority issues permits. Commercial trade Appendix I listed species is banned. Trade in species listed on Appendix II or III is legal as long as CITES procedures and domestic laws are followed. In my healing journey and learning to attain the breath awareness, I become aware of the reality that all the creatures of the world are breathing the same breath. Take action, here and now. From my physical being to the every corner of this out of balance's planet.